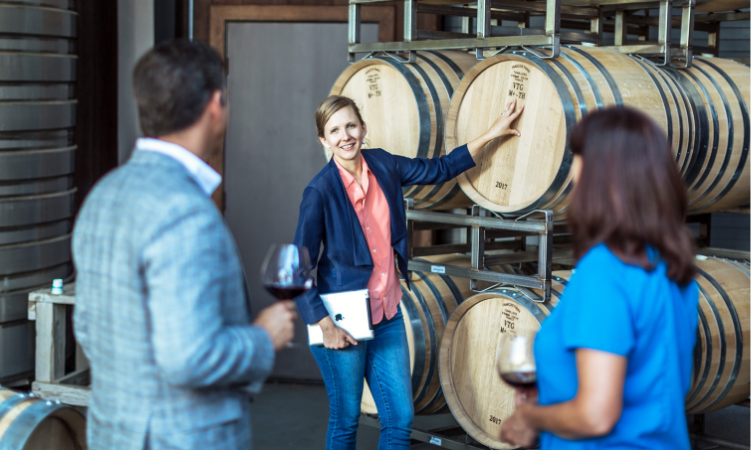 Whether you're gaining traction as a new winery or have been in the business for a while, focusing on customer service is always a valuable endeavor. You know your guests expect to have a wonderful experience when they journey to a winery for a tasting or pay for tickets to an event through the wine club. So make sure you're doing everything you can to make those experiences exceptional. Consider what hiccups have prevented a smooth event in the past, or what customer feedback has been less than positive. Taking these things into consideration will help you identify the challenges that you can turn into opportunities. We've outlined three key elements at the root of providing exceptional customer service. It might sound difficult to prioritize hiring more employees, especially for newer wineries just getting off the ground or for smaller wineries with a set group of trusted staff. However, as you grow your business, you won't be able to deliver the exceptional customer service your visitors and members expect without enough staff to individually handle each issue, request, or interaction with the right level of care. It is important to double down on staffing for a multitude of reasons. First, wineries sell a luxury product. It is not a necessity for your customers to continue returning for a lovely afternoon or to sign up for a membership. They come for the atmosphere, the quality product and service — and the connection. A member coming in for a wine tasting wants to have a conversation with someone at the winery and feel taken care of, like they belong and that they are welcome. This level of interaction won't be possible on a busy day in the tasting room, at a wine club event, or at all if your tasting room staff is too low. Proper staffing is just one of the elements that will help take your winery to the next level. The importance of staff availability extends beyond the tasting room — onto the web. When your wine club members have questions or requests, can they get ahold of someone? It makes all the difference for customers to call and have someone (maybe even someone they know) pick up! This level of dedication to the connection you are building with your members should be top of mind. While ensuring your winery is staffed with enough people, remember that quality is more important than quantity. During the hiring process, ensure the candidates you're considering are personable, professional team players who have knowledge of wine and exhibit an understanding of your unique brand. Your employees will be the face of your business, interacting most closely with customers. So, assess whether they will represent your brand carefully and skillfully before hiring. When customers reach out for assistance or guidance, they expect superb and knowledgeable service, since wine is a luxury product. Do your part in meeting them halfway and providing expert customer service by reducing the amount of friction they experience when they reach out. This requires streamlined administrative technology to answer questions, check on orders, modify shipments and overall to improve communication. Without the proper technology, tedious administrative tasks can become overbearing for a winery. For example, a common issue many wineries have when sending out shipments is knowing whether or not the credit card information they have on record is correct, or out of date. Without the right technology to check whether credit cards are current, there's no easy way to know whose cards need updating. Wine club employees trying to get a shipment out will be faced with a declined card and will need to circle back to handle it appropriately. Save yourself and your customers the hassle by implementing technology to override this issue. 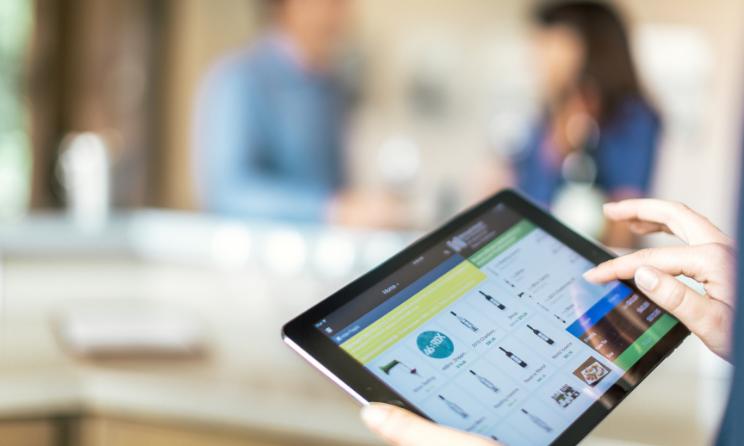 Additionally, customers often want to customize their wine club membership and request unique shipping times or wine selections. You can show them better service by accommodating these desires. But customization can quickly become impossible or cost prohibitive without the right staff to interact with customers or the right technology. What is the right technology? The kind that makes online customization — once quite difficult — surprisingly easy for both the customer and the winery. Delivering an all-around better customer experience is built on adding personal touches wherever possible to your processes and interactions. You can gain more capacity to add these smaller details by hiring the right people and using the right technology. 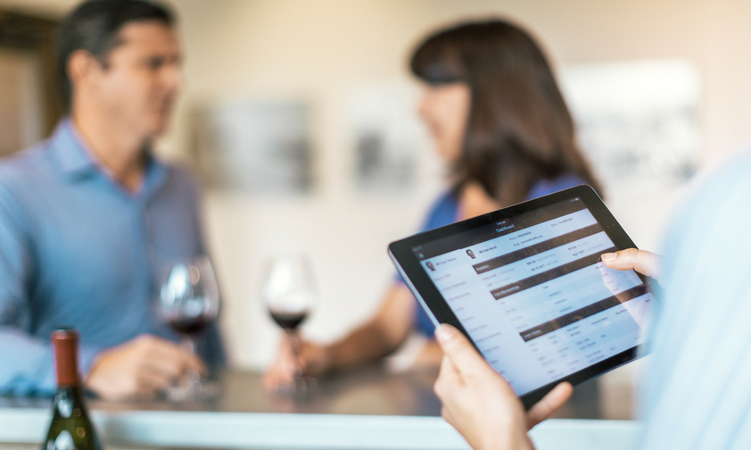 For example, a CRM will enable your tasting room staff to record notes like a guest's favorite wine, where their kids attend school, or their dog's name during their visit. The next time that member returns your staff will have a centralized location of contact information to jog their memory and connect with that member on a personal level. This information will also be useful when your team is reaching out on specific offers or wine club updates. During the holidays your team could conduct phone sales campaigns to reach out to longtime members with offers tailored to their purchase history. The personal details you've stored in your CRM will go a long way in helping you personalize your client service and lead to sales. Your customers will appreciate the ability to easily communicate with staff when they need to get in touch with someone — whether they've got a special request or they just want to share how much they love your new vintage of Sauvignon Blanc. Investing in the right staff and tools will enable you to accomplish more personal-touch tasks, such as writing thank-you cards to new club members when they join, sending a printed annual newsletter, or sending out club anniversary notes with special discounts included. 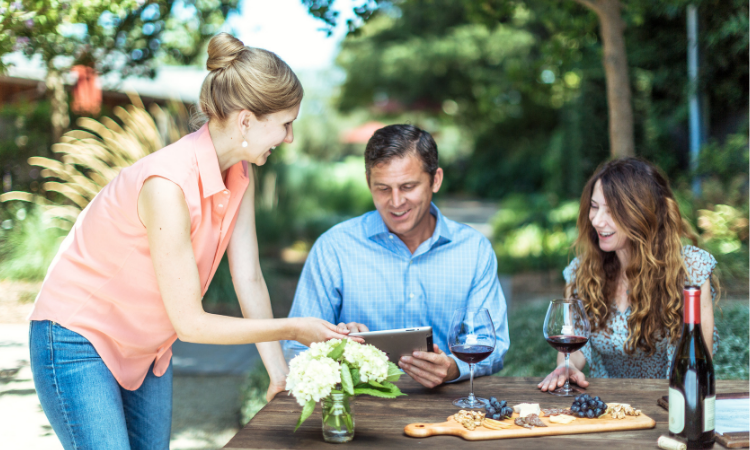 Add a photo of the winery team to remind your members of the people working behind the brand. Additionally, your behind-the-scenes efforts to streamline administrative tasks will positively impact customers and allow you to offer them a better experience with your winery. Improving customer service presents benefit after benefit, and with the right team members and technology in place, you'll be ready to reap them.